Get ready for 2018 supply chain trends! 2017 is winding down, and with the New Year comes a whole new set of challenges. Before you dive into these new challenges to wholesale distributors, however, now is the perfect time to reflect on your past year and analyse the overall health of your business. Is your business up-to-date on the trends and challenges from 2017? Check what changes came to wholesale distribution in 2017 in our blog on Supply Chain Trends 2017. It’s important to be on top of changes year to year since supply chains continue to develop based on the new trends from the year before. For those of you who are caught up on everything from cloud technology and SaaS to automation to sustainability (and everything in between) from 2017, take a look at the next evolution of the supply chain and find out how you can adapt your business for 2018 supply chain trends. As the world increasingly goes digital, it should come as no surprise to distributors that supply chains are embracing new technologies. In fact, according to the 2017 MHI annual report, 80% of supply and manufacturing industry leaders believe the digital supply chain will be the norm in the next 5 years – and 16% say it already is. Which means if you haven’t started going digital, it’s high time to act. You might be scratching your head over this. Most distributors already have some form of software that monitors their warehouses and SKUs; how is this new? Making your supply chain digital means not only monitoring the flow of goods through your supply chain, but also using that collected data to optimise your supply chain processes. This creates visibility over the entire supply chain from start to finish and allows distributors to optimise everything from forecasting to purchasing to logistics into one seamless process. The best digital supply chains look to automation for this data analysis and application. Automation does require some investment, but it is well worth the cost. With automation, you ensure that your business is ordering the right amount of goods at the right time, that you will have insight to your suppliers and your orders, and that your customers will return to you as you continually provide the best customer service. By investing in software – such as add-on software for your existing ERP – you can customise your existing systems to best analyse your data to bring you successfully through the new year and beyond. 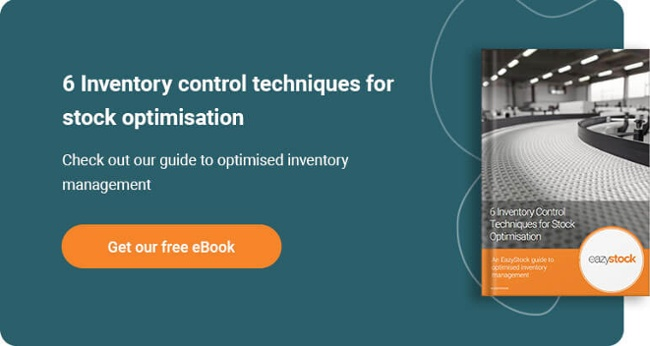 Automation is key as it allows purchasers and inventory managers to spend more time on strategy instead of placing orders, analysing demand patterns, or calculating inventory or safety stock levels. One example of software for automation of this is inventory optimisation software. With inventory optimisation software added onto your ERP, you are able to analyse the demand patterns of all your goods in order to accurately forecast items and keep your inventory levels as low as possible without sacrificing exceptional customer service. It also allows you to place orders directly with your suppliers and coordinate shipment dates so that you always know when to expect your items. This is only one example of the myriad of ways you can invest in the digitalisation of your supply chain. The first step towards digitalisation is to analyse where your supply chain needs improvement – do you need to coordinate better with suppliers? Is your warehouse disorganised and messy? Do orders from your customers get misplaced and lost? Do you need to improve your forecasting? – and to research the best fit of software for your company. For more inspiration, take a look at our guide on 8 Amazing Logistics and Supply Chain Mobile Apps. eCommerce on the whole is nothing new. eCommerce has existed since the advent of the internet and has especially grown in the last decade. However, up until recently, eCommerce has been mainly limited to business-to-consumer (B2C); that is, retailers would sell directly to their end customers. One obvious example of this type of transaction is Amazon – the forerunner of eCommerce has built an empire surrounding B2C. But people have become used to eCommerce as a purchasing option and are now beginning to bring their personal spending habits into their workplace routine. This brings us to the rise of business-to-business (B2B) eCommerce. Wholesalers in particular will want to gain a foothold with this new trend as retailers and other wholesale customers look to the internet for purchases. But B2B eCommerce comes with a whole new set of challenges for distributors. As purchasing for your customers becomes easier than ever, keeping up high service levels is more difficult than ever. Potential customers are able to quickly go through and make purchases, but keep in mind that you are not the only distributor embracing B2B eCommerce. If you do not have what your customers are looking for when they want it, they can easily log onto a competitor’s site and find what they’ll need there. Keeping your supply chain sufficiently stocked to cover demand and ready for action as soon as an order comes through is paramount to retaining customers. Getting started in B2B eCommerce is the next step for the determined distributor; make sure that your supply chain is up to the challenge! For further reference, here’s a guide on Making your Mark in B2B eCommerce. Change is coming to delivery. The Last Mile in logistics is that final step of the delivery process where an order is sent from the distribution center to the end user. It is also historically one of the most difficult steps in the supply chain to control. The Last Mile is an integral part of the supply chain so it is important that delivery runs as smoothly and efficiently as possible to keep reliability and customer satisfaction high. With that in mind, distribution is changing the approach to the Last Mile. One new strategy being applied to the Last Mile is “Uberization”. The company Uber disrupted taxis with it’s new approach to rides based on the sharing economy. This same tactic is slowly taking hold of the logistics industry as companies look for new ways to optimise their deliveries. By reaching out to independent contractors for deliveries, for example, distributors do not need to maintain a fleet for delivery or even have contracts with third party logistics (3PL) companies. However, Uberization of the Last Mile is among the newest trends for logistics, and, of the newer trends, so far the tactic showing the most promise. Other solutions distributors are looking at include drones for deliveries and connected and autonomous vehicles (CAVs) for deliveries. However, drones operate within a very limited range for lightweight products and have all sorts of laws and regulations regarding their operation. Likewise, CAVs are still being perfected for drivers – let alone deliveries. While the tactics for optimising the Last Mile in logistics are different, one thing remains constant – changes are coming to logistics in 2018. The best you can do for your distribution business is stay up to date with trends, and maybe even test a few new logistics tactics for yourself. 2017 was a dynamite year for distributors. The trends of consumers consistently grow and change, and distributors have found new and creative ways to stay on top of these demand changes. 2018 is proving to be a continuation of that theme as the supply chain continues to shift. If you’re still catching up on changes from 2017, be sure to keep your eye on 2018 supply chain trends and challenges and continue to grow and adapt so that you can stay ahead of the curve.